We still don’t know what Brexit will mean for those who own timeshare at non-UK resorts. However, we can certainly take a look at the very best of British timeshare. Today, we’ve decided to step off the beaten track. We present some of the lesser-known, but still just as fantastic, timeshare resorts in the UK. We begin in the south, with Manor Court Club in Newton Abbot, Devon. Whether you’re a golfer, a walker, or simply in love with the West Country, this British timeshare is the one for you. The resort’s location within the Dartmoor National Park makes it ideal for visiting the many local attractions. Cottages here feature everything you’ll need for your self-catering getaway. Furthermore, you can choose from five-star dining to traditional pub fare and everything in between. Make your Devon holiday one to remember every year. The luxury holiday homes at Keswick Bridge remain a popular choice with those in the know. The magnificent Lake District is host to a wealth of fine hotels and accommodation establishments… This means that it’s easy to overlook such charm. The resort has three acres of its own grounds and woodlands, which helps to create a feeling of seclusion—even though you’re still close to local beauty and attractions. The resort says that its lodges are the perfect place to come home to, and it’s easy to see why. Tresco, in the Isles of Scilly, certainly fits the bill for ‘off the beaten track’. This understated yet breathtaking island enjoys relaxing scenery and a fantastic location. The resort’s “islandshare” ownership program has seen over forty years of success. Consequently, it’s a great option for years to come. Thoughtful small touches include gorgeous furnishings, original artwork and Wi-Fi. Each property is uniquely designed to reflect a traditional island home or a contemporary beachfront setting. Furthermore, there are accessible cottages that contain ground floor bedrooms, which ensures that there is something for everyone. British timeshare at its best. 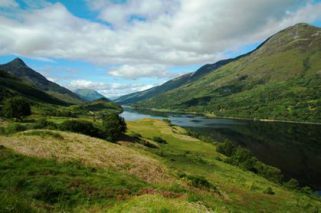 Find some of the most stunning Scottish coastal scenery in beautiful Argyll, Scotland. The RCI Gold Crown Melfort Village resort comprises a cluster of stone cottages built in the nineteenth century. Due to its location just a stone’s throw from the shores of Loch Melfort, views are stunning. Cottages feature fully fitted farmhouse kitchens—choose how you’d like to dine! If visiting in winter, build a cosy log fire in your cottage and snuggle up for a warm, soul-restoring evening by the flames. At the hub of Aviemore in the Scottish Highlands, Scandinavian Village puts all conveniences of the village within a ten-minute walk. This includes local spots such as traditional taverns, restaurants, and a supermarket. This charming British timeshare resort features villas that sleep between four and six people. The area itself offers just about anything the vacationer would want all year round. In the winter, try your hand at skiing, snowboarding, and ice climbing. In summer months there is golf, fishing, rock climbing, and rafting! Therefore everyone in your party will find something of interest, including a year-round program of festivals and events. Arran, arguably Europe’s most beautiful island, is frequently described as Scotland in miniature. These delightful lodges at Auchrannie Country Club are outstandingly furnished and equipped. There’s a wide choice of on-site dining options from the Auchrannie Hotel, and Auchrannie Spa Resort offers complimentary use of swimming and leisure facilities. The resort is also passionate about sustainable tourism. Most noteworthy are its commitments to increased recycling, using fair trade products, supporting local wildlife, and much more. Travelling to Wales brings us to Dyserth Falls Resort, situated in a picturesque village between Prestatyn and Rhuddlan. 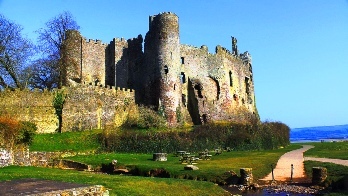 The rich local history, castles, and country houses attract many visitors every year. By the same token, if you’d like to be a repeat visitor, timeshare here is a great option. The sandy beaches, mountains, lakes and forests provide a variety of opportunities for sailing, golf, hiking, country sports or just soaking up the scenery. Lodges are attractively furnished, and the resort offers an on-site country club with full leisure facilities. Finally, we come to The Pantglas Owners Club in Carmarthenshire, ‘the garden of Wales’. If you want a fantastic base from which to explore the area, this British timeshare resort is ideal. From your cosy cabin-style lodgings you’ll be able to see the remains of the ruined tower, the impressive mews building, and a romantic ornamental lake with bridge. Being an owner here will also give you say in how the club is run—they are fully committed to meeting their owners’ needs. In conclusion, there are many options for timeshare in the UK. Why not make your next holiday purchase a stay-cation? If you’re looking to buy timeshare in the UK, contact Travel and Leisure Group timeshare brokers today! Take advantage of huge discounts along with our unparalleled knowledge from over two decades’ experience in timeshare resale. Alternatively, if you’re looking to sell timeshare in the UK, we can help! Our Sales team give you a no-obligation discussion of your options. Registration on our database is free, and you can also avail yourself of our optional advertising should you wish.